On considering the present Quality of water the demand for Package drinking water has increased. It is consist of Water filtration system and Bottling plant. Filling system will consist of mainframe fabricated from MS structure. Filling tank will have filling heads. Filling machine is also a neck holding. When bottles gets sealed with filling valve, the Filling Valve opens and filling starts. Filling tank will have liquid level probe. Filling tank will have liquid level probe system to control level of mineral water in filling Tank. As soon as the bottle is full by five stage rotary (station) filling nozzle and bottle will be transferred under the capping head. 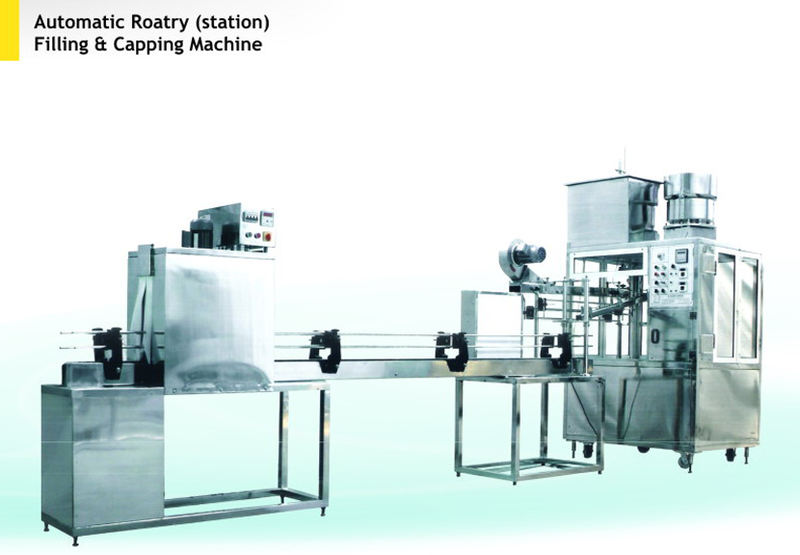 Where the caps will be picked up by the Capping head directly placed on the bottleneck and Tightened. The bottle will enter the capping head, cap will be firmly tightened. Duly capped bottles will be transferred on the conveyor. Drive system will consist of motor; it is synchronized with filling unit. The machine also has an A/C drive for controlling the speed of the machine. The machine will be enclosed with SS covering with Glass.